This 12-page white paper reports on work underway in France to make it easier for card issuers and host card emulation (HCE) suppliers to make use of trusted execution environments (TEEs) to increase the security of their mobile payments services. This 10-page guide from Rambus provides an overview of Samsung Pay and introduces its key features, including security and authentication protocols. This 30-page white paper explores the changing payments ecosystem in Bangladesh and evaluates the current and potential impact of mobile payments on the financial, banking and retail sectors. 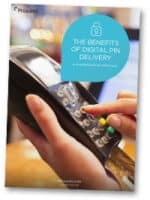 This 11-page white paper makes the case for adopting digital mechanisms for PIN delivery in place of traditional paper-based systems. 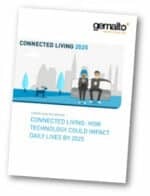 This 25-page white paper from Gemalto presents the findings of research into the expectations that young adult consumers have for the development of mobile technology and connectivity over the next 10 years. 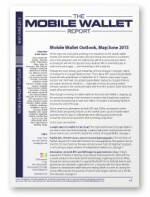 This 12-page white paper by Proxama explores how EMV can provide a stepping stone to mobile payments and makes a positive business case for its adoption. 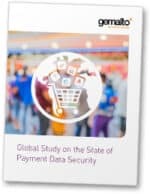 This 16-page white paper by Gemalto presents the findings of research carried out on behalf of the digital security giant by the Ponemon Institute. The findings are based on a survey of more than 3,700 IT and IT security professionals across the world and identifies the major risks to payment data security and how companies currently address them. 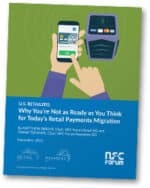 This six-page white paper by the NFC Forum addresses the key issues facing US retailers following 2015’s EMV liability shift in the context of the ongoing trend towards mobile payments, and makes the case for adopting contactless technology. This 28-page white paper produced by the GSMA provides insight into the role mobile network operators can play in the development of mobile retail solutions. 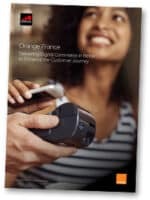 It focuses on the strategy implemented by Orange France and examines how the company helped merchants overcome the challenges of integrating mobile technology into the shopping experience.